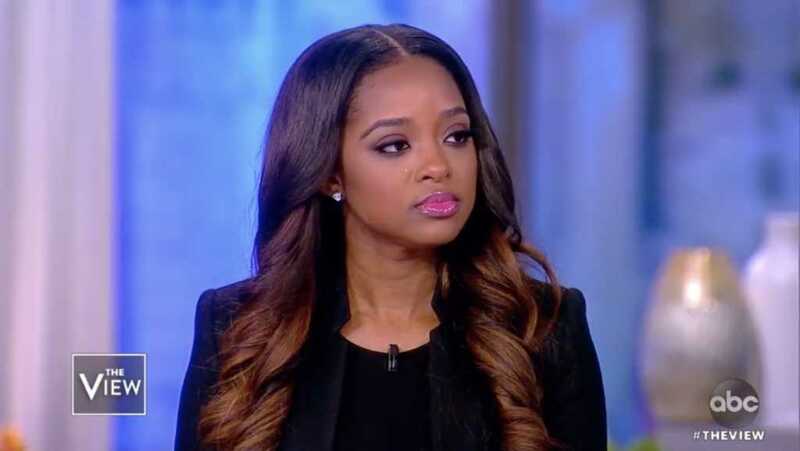 Tamika Mallory, co-founder of the left-leaning Women’s March, appeared in a cringeworthy segment on “The View” Monday, where she refused to condemn Nation of Islam leader Louis Farrakhan’s anti-Semitic record. During a heated confrontation with co-host Meghan McCain, one of the talk show’s two conservative hosts, Mallory would not clearly condemn Farrakhan’s attacks on Jewish people despite being given multiple opportunities to do so. What else did Mallory say? Apparently, none of that matters to the Women’s March co-founder, who earlier in her appearance on “The View” fawned over Farrakhan for what the detestable religious leader has done for the black community. “I didn’t call him the greatest of all time because of his rhetoric. I called him the greatest of all time because of what he’s done in black communities,” Mallory told co-host Sunny Hostin, who questioned the progressive activist for her adoration of Farrakhan. Women's March President Tamika Mallory defends calling anti-Semite Louis Farrakhan the "greatest of all time"
At the very end of the segment, lead co-host Whoopi Goldberg asked Mallory if she would step aside given her troublesome connections to Farrakhan. Mallory said she has no intention of resigning her leadership role. Joe Biden Used to Be a Pro-Life Democrat Against Roe v. Wade. What’s Changed?